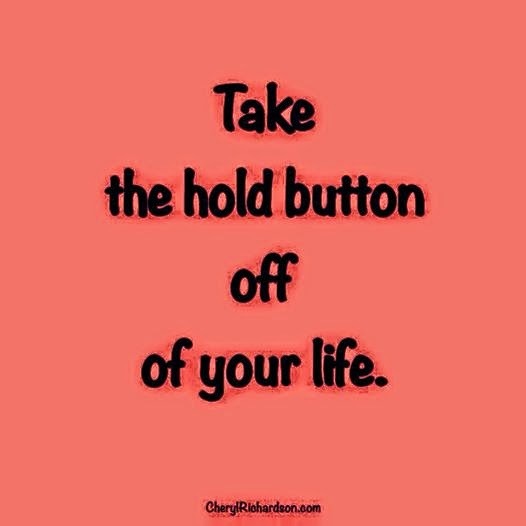 February is the month to take our finger of the hold button and step into something we really want in our lives. If you keep dreaming about doing something, it might be time to pay attention to those thoughts that keep jumping into our heads. Maybe it's something you want to bring into your life. Maybe something to want to get better at. Or maybe something you want removed from your life? Is it a shift you want to make personally or professionally? Is it a dream that you have previously started but for some reason it's been put aside. Maybe it's something a little adventurous that you would like to have a go at. Maybe your looking for something new in your life but are unsure of what it is? Just get out there and give lots of things a try and see which one makes your heart smile. Or like me do you have lots of "DREAMS"? My strategy to accomplish something is to pick 3 things and tackle them for my 28 Day Challenge. Our dreams pop into our head for a reason. Why not listen to them and start acting on them now. Otherwise that's all they will ever be "DREAMS". During this 28 Day Challenge it's up to you just how many dreams you tackle, but don't overdo it. Make sure what ever you tackle for the 28 days is doable!! Once again the only rules are that you participate and post daily to let us know how your adventure is going. Don't forget your input helps the rest of us get on with our dreams as well. I have chosen three things to tackle in my February 28 Day Challenge. 1. Do some form of movement each day. As I am still trying to get full movement back in my right shoulder I will continue my physio, but this month my body is going to get into some various other movement. 2. Do one thing each day from my February ToDo list. This year at the beginning of each month I have decided to list down the number of things to do to correspond with the number of days in that particular month e.g February 28 days = 28 things to do. So I only have to do one thing per day. of what isn't working or what's wrong.